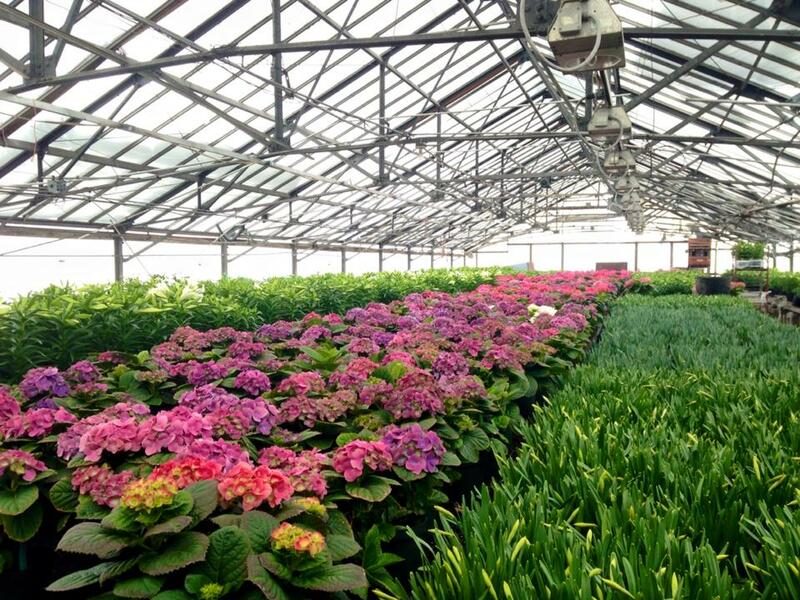 White House Nursery is large enough to accommodate our wholesale trade, yet small enough to provide personalized service. Click here for latest pricing and availability. We provide plant material to stores, garden centers and landscapers by contract growing or selling wholesale plants from our availability list. Situated on 30 acres our growing facilities include 75,000 sq. ft. of covered greenhouse growing areas and outdoor irrigated “mum” field. Only legitimate businesses may buy wholesale and must provide proper documentation such as FEIN #, S.U.T. #, with legal business name and address.Wholesale Sales: Minimum order $200.00. Plant Availability: During shipping seasons we provide a weekly availability list of ready to ship plant material and a link to a photo album to view photos of our crops. We can email the availability list. All plants subject to availability. Terms: All orders are C.O.D. unless terms have been pre-arranged. Contact us for our credit application to arrange terms. Discounts: Discounts are available for accounts in good standing. Delivery: Orders can be picked up at our greenhouses, or we can deliver orders over $400.00. We have a small delivery fee to local businesses, generally within a 60 mile radius. Outside of a 60 mile radius delivery fee would be based on distance. Directions: From Baltimore take Rt 83 North to exit 27. Go west on Mt. Carmel Road, Rt 137 for approximately 7 miles to the flashing light intersection. Turn right, north, on Falls Road, Rt 25. Greenhouses are 100 yards on left. Scanning: We are UCC members and all of our plant material has an assigned product code number. Many of our pots have the UCC code # on the pot for electronic cash register scanning. If your registers scan items, please contact us for more information. Contract growing / custom orders: We can grow plants specifically for you. Keep in mind timing and plant availability as possible limiting factors.